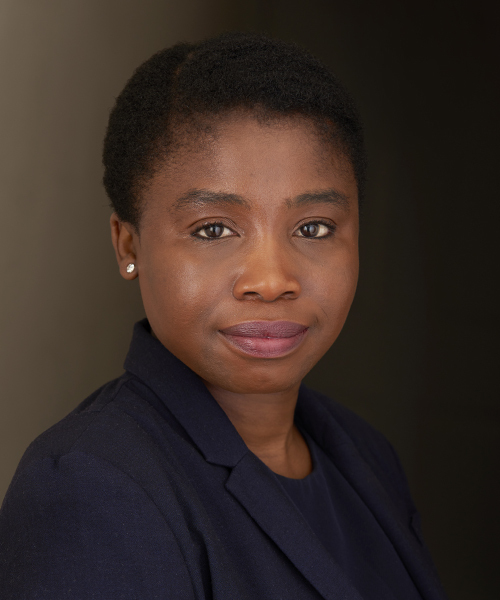 Yimi is an experienced barrister with a predominately criminal defence practice. She is regularly instructed in high profile, serious and complex cases. She has extensive experience acting in cases involving armed robberies, firearms, drugs offences, money laundering, fraud and sexual offences. She is often instructed in sexual cases involving vulnerable clients and/or witnesses and has been praised on numerous occasions for her sensitive handling of such cases. Frequently instructed as a led junior, she has also been involved in a number of reported cases in the Appellate Courts. Known for her straight-talking approach, she is a tenacious and fearless advocate. She also acts in prison adjudications and parole board hearings as well as extradition cases. Yimi also appears in the Family Court dealing with both private and public law cases including cases involving human trafficking, placement outside the jurisdiction and allegations of domestic violence as well as sexual abuse. She also deals with ancillary relief matters. R v Forbes & Others  EWCA Crim 1388 – Sentencing guidelines for historic sexual offences. R v Chapman & Others  EWCA Crim 319 – Leading case on whether Nitrous oxide is an exempted substance under the Psychoactive Substances Act 2016. R v HC & others – Central Criminal Court – Led Junior in a 3-month trial where HC was one of 2 civilian police employee charged with conspiracy to commit misconduct in a public office alongside the mother of a convicted murderer. He was accused of accessing the police intelligence database to discover the identity of an anonymised witness. R v JC & another – Central Criminal Court – represented a boys-scout leader accused of a range of historic sexual offences which took place over 50 years ago spanning a period of 10 years at a catholic boy’s school, involving multiple complainants. R v PN & another – Leeds Crown Court – PN acquitted of perverting the course of justice in an attempted murder trial involving rival gangs. R v VD – Central Criminal Court – VD was accused of robbery involving £20,000 worth of jewellery. Crown offer no evidence following application to dismiss case as an abuse of process. R v KC – Croydon Crown Court – KC acquitted of sexual assault even after previous conviction for sexual assault is disclosed to the Jury. R v SB – Kingston Crown Court – D acquitted of Arson in the face of overwhelming evidence including expert evidence excluding the possibility of any other culprit. R v MD – Woolwich Crown Court – Successfully argued insanity in an allegation of child abduction. R v BM – Inner London Crown Court – represented a defendant facing allegations of child grooming involving multiple young children and possession of indecent images. R v P – Basildon Crown Court – represented a defendant involved in a £1.6 million confidence fraud. R v C – Woolwich Crown Court – represented a defendant involved in an armed robbery using a firearm. Firearms: A guide for criminal practitioners; Webinar with MBL Seminars. Trustee of ROK (Reach out 2 Kids) a charity which works with schools, pupils and parents to help realise the goals and aspirations of young people. Amnesty International, Liberty, Criminal Bar Association and Family Law Bar Association.